SPCR • View topic - Any Experience with Sunon's Magnetic Levitation Fans? Any Experience with Sunon's Magnetic Levitation Fans? Post subject: Any Experience with Sunon's Magnetic Levitation Fans? Sunon is more OEM like Nidec. I first became acquainted with the company when I popped open an otherwise bad PSU to use the fan many years back. 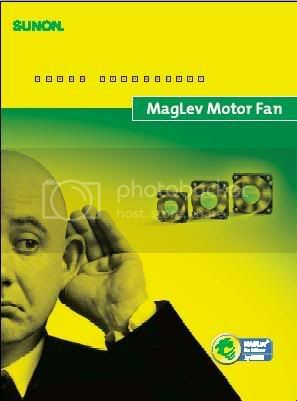 I found out about these fans particular MagLev fans through one of the IT-Procurement companies that send us tons of catalogues and we hardly buy from, cyberguys.com. Magnetic Levitation - Floats Fan! Runs Quieter, Cooler, and Longer! 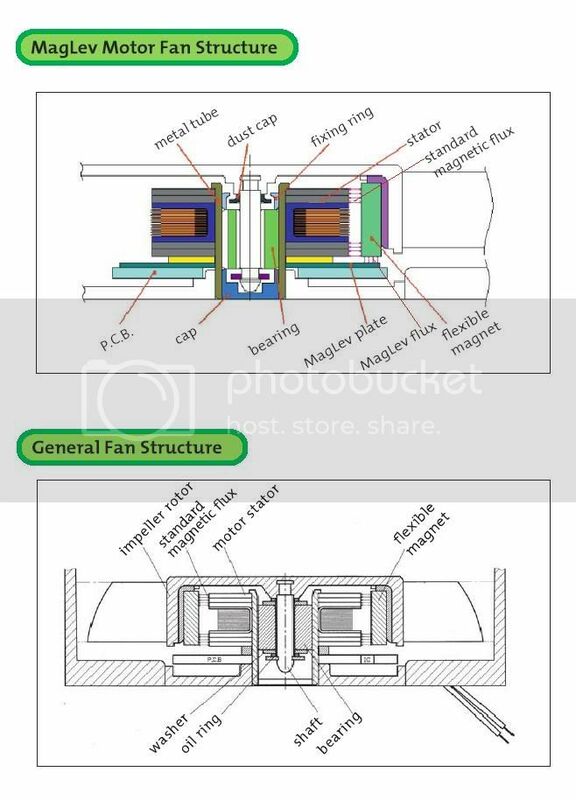 Our state-of-the-art multi-purpose cooling fans actually use magnetic levitation to "float" the spinning fan blade in a magnetic field to dramatically reduce friction, wear, & heat... making these fans run cooler, quieter and last longer than conventional fans! Ideal for use in any mission critical application, in applications where minimal fan noise is desired, or where access to fan installation or replacement is difficult. What do you all think of these fans or blowers? Any experience with them? Or they new to this community? Cyberguys don't seem to sell them in any size larger than 60mm, but Sunon makes this MagLev series up to 92mm axial and 120mm blower. Edit: We just ordered some of the 50x50x10 for stock (to replace some smaller dying CPU fans). I'll be sure to post once we get them in. Cool deal, thanks. I tried doing a quick search, but I kept getting irrelevant threads. The Microcool Northpole northbridge hs I put on my AN7 has this fan in it. It's loud if I let 12v get to it. Compared to other little fans it is quiet though. If I ever have to take this mb out it is coming off. I can't oc enought to ever need it `cause I dropped one of my mu$hkin on the tile and it's a little uncooperative now.